The Xarelto personal injury and product liability claims are consolidated and centralized before U.S. District Judge Eldon E. Fallon in the Eastern District of Louisiana, for pretrial proceedings. Bayer and Johnson & Johnson (J&J) as co-developers, are exposed to at least 315 bleeding cases in the federal multi-district litigation (MDL), according to a Docket Report issued by the U.S. Judicial Panel on Multidistrict Litigation on March 16, 2015, with thousands more on the way. The plaintiffs blame the manufacturers for the severe, and often fatal bleeding injuries that were caused by Xarelto side effects, the lack of adequate warnings and an approved effective antidote for bleeding reversal. Xarelto Uncontrollable Bleeding RisksXarelto (rivaroxoaban) is a new-generation anticoagulant approved by the FDA in 2011 as a replacement for Coumadin (warfarin). Coumadin, has been the “gold standard” medication for prevention of blood clots and strokes in patients with atrial fibrillation, a common heart rhythm abnormality for the past 60 years. While all blood thinners carry a risk of bleeding, Xarelto has been linked to severe injuries and death as more patients are transferred over to the new blood thinner. Xarelto has been touted as a safer alternative to Coumadin, with the drug makers promoting that it is easier to use, since it does not require regular blood tests to measure its effectiveness. According to several recent studies there are concerns about those claims, with researchers noting that Xarelto blood tests may help doctors identify patients at the greatest risk of bleeding. Additionally, plaintiffs blame the drug makers for withholding critical information about the lack of a Xarelto reversal agent, which doctors could use to stop uncontrollable hemorrhaging. Coumadin’s blood thinning effects can be quickly reversed in an emergency, there is no similar antidote for Xarelto. According to court documents, Xarelto has raked in over $2 billion in sales nationwide with over one million prescriptions written by 2013, two years after the drug’s introduction into the market. Xarelto is a huge cash cow for the pharma division at J&J. Xarelto, has grabbed a 32 percent market share in the highly competitive anticoagulant market, significantly ahead of Boehringer’s Pradaxa and Bristol-Myers Squibb’s Eliquis, the other two new anticoagulants in the market. The Xarelto pony is way ahead in the three way pony race. 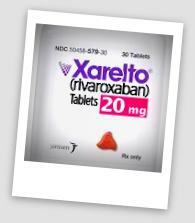 Company sales representatives continued to tout Xarelto as a convenient alternative to the established blood-thinner warfarin, but by the end of 2012, there had been 2,080 Xarelto-related injuries, including 151 deaths. The MDL has an important role in streamlining the litigation process, as all plaintiffs and defendants are under one roof, coordinate discovery and the bellwether trials can be set to determine the strength of the claims. As part of the coordinated pretrial proceedings, it is common in complex pharmaceutical and medical device mass tort litigation, that a small group of cases will be selected as “bellwether” cases. These lawsuits will be prepared for early trial dates to help the parties determine how juries may respond to certain evidence and similar testimony that is likely to be repeated throughout the litigation. If the parties fail to negotiate a settlement or resolve the litigation following pretrial proceedings, Judge Fallon may remand cases back to the U.S. Districts where they were originally filed for separate trial dates in the future.